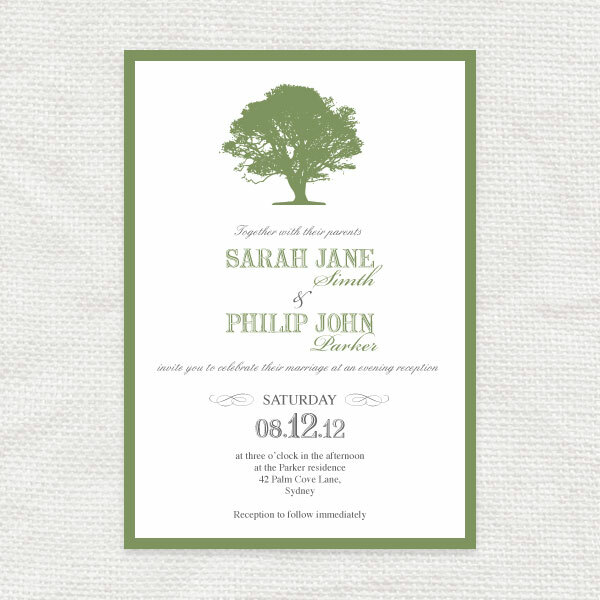 Fall in love under the old oak tree, and fall in love with our oak tree wedding stationery range. 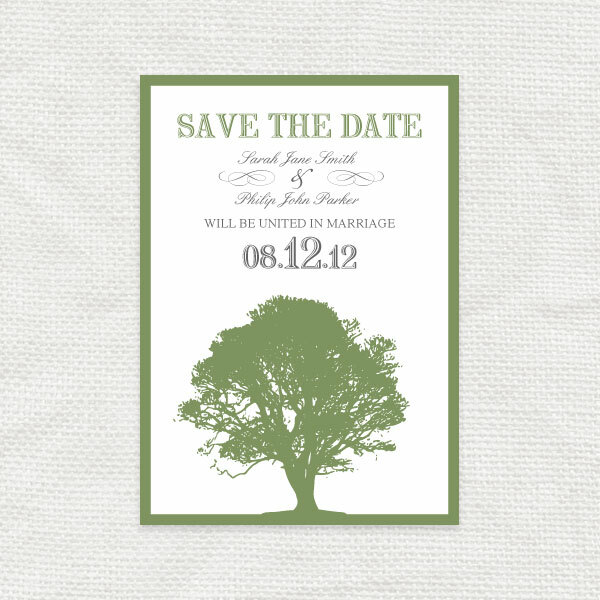 Symbolizing a strong and everlasting relationship the simple but beautiful oak tree illustration is shown here in green but can be changed to any colour you choose. From invitations and rsvps to program covers and thank you cards. Starting from $16.50 visit our online shop for more.